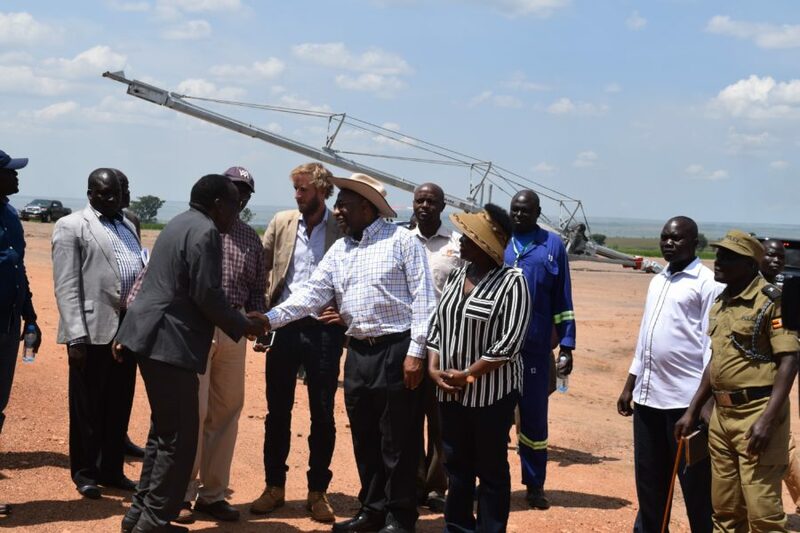 Amatheon Agri welcomed Ugandan Prime Minister Dr. Ruhakana Rugunda to its farm this week, as he gathered major agriculture investors in the north to discuss ways of accelerating Nwoya District’s growth. The Prime Minister was accompanied by several members of parliament, district authorities and local leaders, and designed the visit to exchange perspectives, knowledge and experiences among investors, authorities and communities. Dr. Rugunda was eager to hear the challenges currently being faced by agriculture investors in Nwoya, and how the Government can further support – especially in relation to power supply. Amatheon was congratulated for the significant contribution it has made to northern Uganda’s social and economic growth. 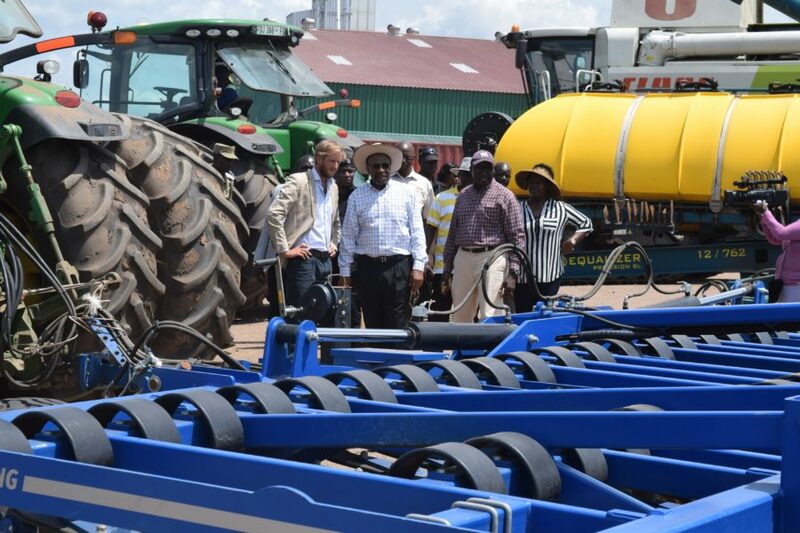 The Prime Minister cited the commercialization of agriculture as a way to help transfer knowledge, provide jobs, and market access to smallholder farmers, as well as contributing to local food production. 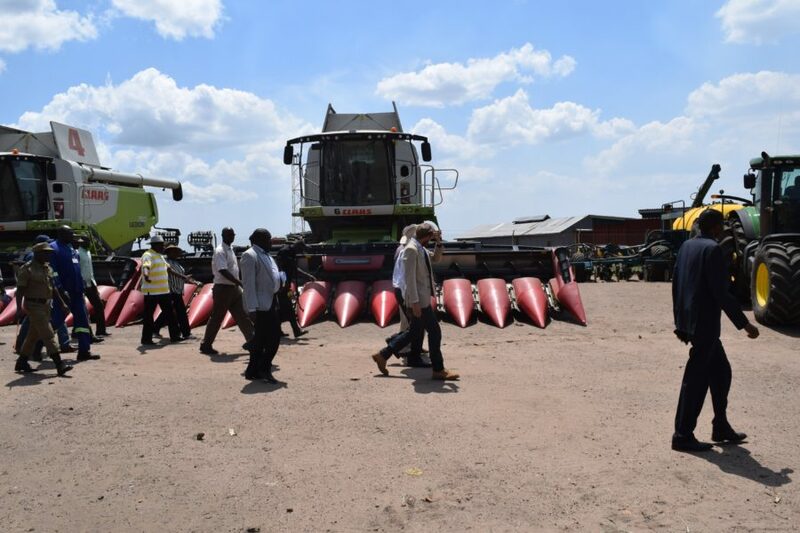 Acting Managing Director, Mr. Thomas Rowles, explained how the company has developed 3,000 hectares for rice, maize, soya, sorghum and mung bean production, while also working with over 1,800 neighboring smallholder farmers through training and grain trading. “We believe strongly in an integrated, sustainable relationship with the community around us – this is core to our values and business strategy,” Rowles said. The Prime Minister encouraged domestic and foreign investors to integrate their activities along the value chain and to establish processing facilities. The Government is working towards extending the power grid in Nwoya to create a more enabling environment for processing units.